Looking like a solid group of the community heading down. Anyone forming a caravan, or interested in one ? My question to Tom Provasi. Will all the transaxle cars be lumped into one group or be decided by model (24,44,68,28)? In the past, we have judged all the transaxles together. We do that since there are so few cars entered. If I get a large entry of one model, I have the option of breaking out. Our judges don’t use traditional concourse points based score sheets, instead they rank the cars based on presentation, preparation, condition and ownership/usage etc. I think you’d enjoy the process. Be nice to see more 928s at Amelia... one or two at most in recent years. Unfortunately cant make Amelia but have registered for the Porsche Experience on March 12, should have the 93 GTS back together by then. I will be at Werks Reunion and the Cars & Coffee with two 928s and my 15 year old's 924S (in judging). He turns 16 that weekend! If you don't have a place to stay already on the island or in Fernandina, I think the only option less than $500/night might be Jacksonville. You almost have to book a year in advance. We're staying in an AirBnB on the island. 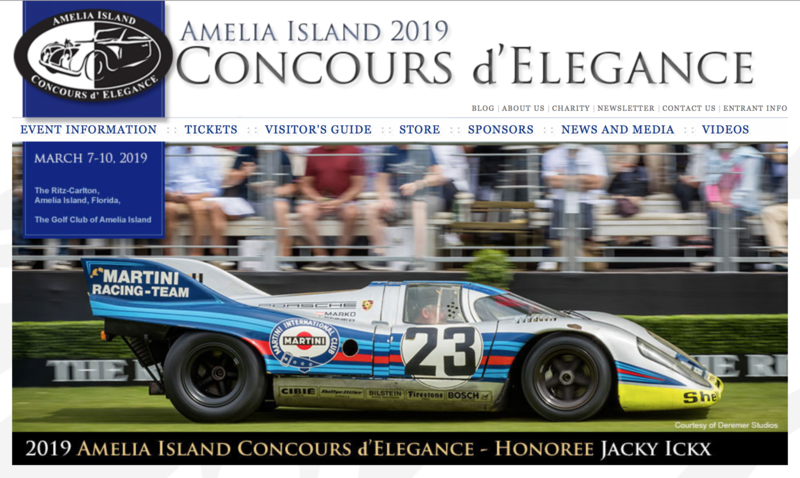 FYI - The Amelia Island Concours is scheduled for March 7-10th 2019. PCNA will be welcoming US to tour the heritage display on March 7th. Should they have a docent available we will also get a tour of the facility, to be determined. Just inform the guard you are with the Amelia Island Caravan and you will be granted safe passage. Obviously our plan is to tour the Heritage display and visit the 928 #1 for many people this is a once and a lifetime chance. (((drama))) Caravan is scheduled to Leave PCNA at 10am. Please plan accordingly. This drive is 350 miles of not so much fun, 240 miles of it is nothing but hwy. The balance is along the coast line offering a few nice views. That's 5hrs without stopping. So in real time for a group enjoying the drive. Approximate time varies by adding 2 hours. Approximately 7hrs trip time. The Schedule, weather, all times, traffic , mileage etc. are approximate so please stay flexible, excluding acts of GOD this is the plan. Just inform the guard you are with the Amelia Island Caravan and you will be granted safe passage. Obviously our plan is to tour the Heritage display and visit the #1 928 for many people this is a once and a lifetime chance. (((drama))) Caravan is scheduled to Leave PCNA at 10am. Please plan accordingly. Love's restaurant has no affiliation with Love's travel center the restaurant is actually next to interstate and has a very high review score. Also kind of funny it's already being called "THE LOVE'S TOUR" . Thanks for the efforts arranging the caravan Scott. Hope you guys have time for a group shot with 928#1. Cheryl and I will be at various Amelia events and will be making a stop back at PCNA Atlanta on 3-11 & 3-12 after Amelia.